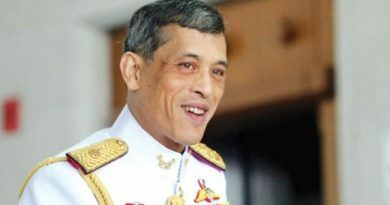 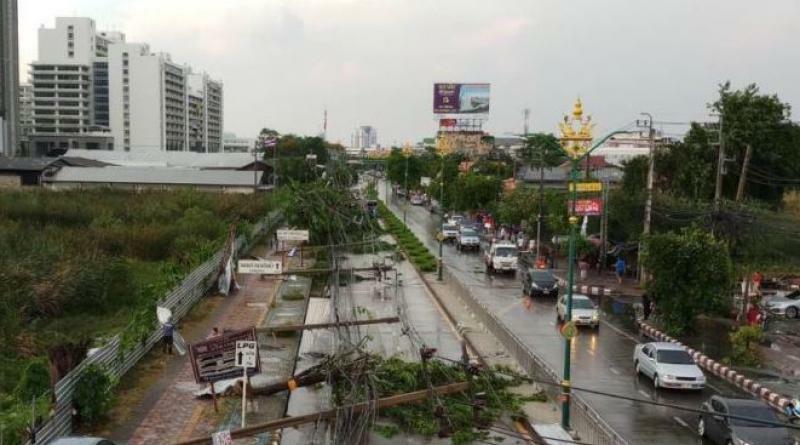 A POWERFUL rainstorm slammed most of Bangkok and adjacent Nonthaburi province this Sunday afternoon (May 20) leading to floods in many areas, the Thai-language daily Matichon reported. 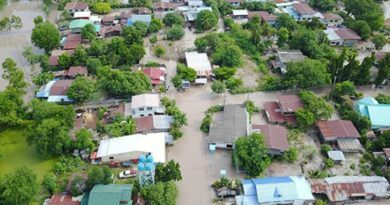 Massive traffic congestion built up at the flooded road in front of The Mall Ngamwongwarn but small vehicles were able to pass. 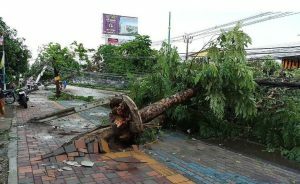 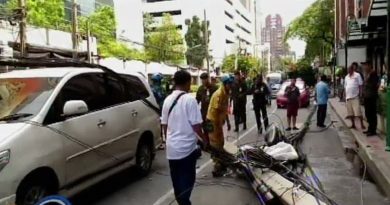 The fierce storm also knocked down trees and power poles in front of Wat Khae Nok in Nonthaburi’s Sanam Bin Nam area, with a couple falling on a pedestrian bridge. 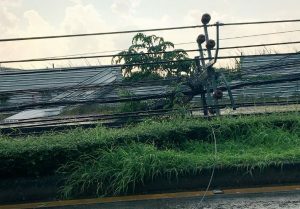 Massive traffic jams have built up in Sanam Bin Nam area and this will only ease once these obstructions have been removed. 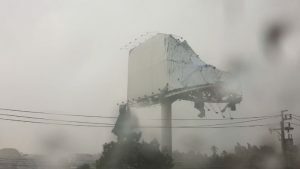 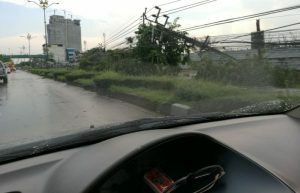 A large billboard in Ratchapruek area was also torn down by the fierce storm.